You know that I'll be there when an amusement park featuring Marvel Superheroes opens up. Here are some observations I made. 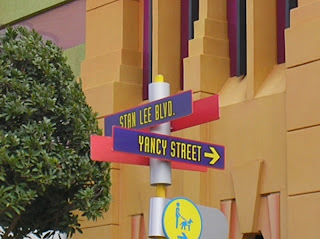 Stan Lee would be disgusted to find that his street intersects a crime-ridden alley like Yancy Street. 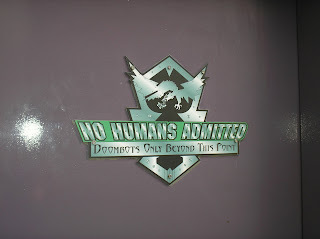 Doctor Doom's hiring practices: Humans need not apply. 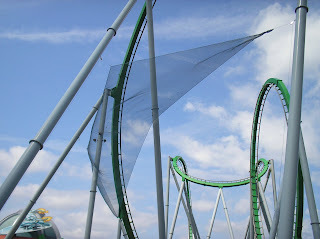 The Hulk ride, one of the best coasters I've been on, but what's the deal with this? It's never a good sign when a coaster has a net under it. I rode it three times anyway. This is the most important sign I've ever encountered. 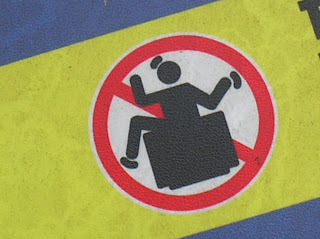 Do not hump couches. Words we can all live by.